Trading can be like gambling, if you do not incorporate successful money management and risk management techniques. 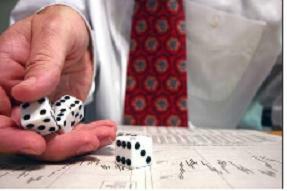 Does is seem like your are just rolling the dice when you trade stocks? If this is the case, you should start spending some time examining money and risk management strategies. While most people think money management has little to do with winning in the stock market, the real winners know otherwise. How should I buy or sell a stock: limit or market? Market - increases speed at which you will enter the market. What account size do I need? 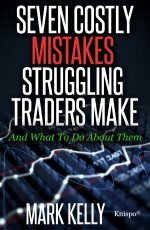 This will determine the type of trading you can do. This should be determined based on your account size and risk tolerance. Your risk management policy should identify what percentage of your account you are willing to risk per trade? The number of shares you buy should depend on the risk you want to take. Before you buy, identify when you should sell if your buying decision was incorrect. This gives you an exit strategy before you buy. Still want to learn more about money and risk management? If you do then you may want to consider reading Alexander Elder's "Come Into My Trading Room" or Van K. Tharp's "Trade Your Way to Financial Freedom". Both of these books offer information on risk and money management.